After months of planning, organizing, and working with people in the community and beyond, yesterday we announced the lineup of The Uncertainty Festival. Check it out right here if you don’t believe us. We couldn’t be happier with the line-up, which includes headliner Dressy Bessy, along with their touring companions Arc Flash, from Lawrence, Kansas (which is a very cool city with a great music scene, btw). 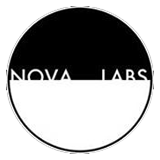 There are a lot of the usual Nova Labs roster playing during the weekend, and a few curveballs in there, too, just to keep you on your toes. Two thirds of the festival is free, thanks to the generosity of our friends and sponsors, and there will be tacos, because Rico’s Tacos are our good friends, and, really, haven’t you come to expect tacos at this point? Give the people what they want, as a wise man once said. The people want tacos, another wise man whispered in his ear. Our fest is divided into 3 shows, which we’ve named Particle, Wave, and Light, because science is important, and we also appreciate the question of duality. Without any prior thought on our parts, the date we picked, April 22nd, as the tentpole for our little festival, turns out to be Earth Day. It is also the same day as a planned March For Science. We’re really happy about these things, but the truth is that the timing is accidental. We picked the date way back in September or so of 2016. We also picked the name back then as well. “It’s a play on words, with the uncertainty principle,” we chortled. “So much science,” we laughed. We thought we were pretty clever. Little did we know then that the world would suddenly become filled with actual uncertainty. That, too was accidental. The science of serendipity, perhaps, even though that’s pretty much a strict violation of scientific principles (causality notwithstanding). We hope you will join us at the festival. We’ve been doing our thing for a little over 3 years now, coming up on 4, and we thought it would be fun to celebrate with you guys by throwing down on something bigger and weirder than normal, as a way of saying thanks. We couldn’t be doing what we’re doing without you. In that vein (serendipity again? ), also a big thanks to our sponsors – we’ve carefully chosen people who have supported us the entire time. We couldn’t do what we do without them, either. In these uncertain times, let’s be certain about music, art, and community – otherwise, what’s the point of the rest?